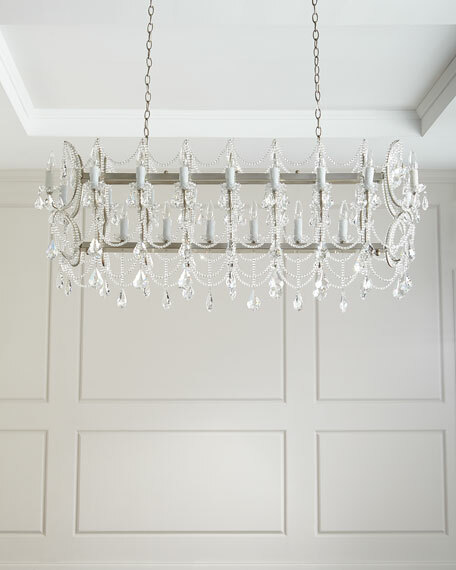 The Visual Comfort Renwick Pendant presents an orb of faceted crystals that sparkle and shine with a classic aesthetic. Inside each square is a small crystal, the metal frame forming a sphere shape accented with complementing metalwork. 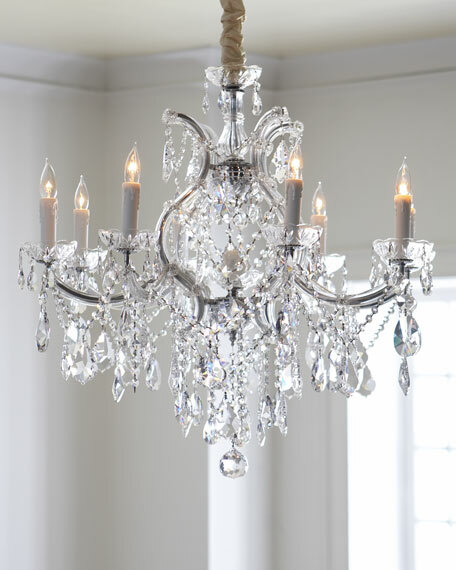 Truly eye-catching yet classic, the illumination disperses through the clear crystal to create a lit atmosphere as well as reflecting and refracting the light with a signature twinkle. Metal sphere chandelier with clear glass accents throughout. Uses four E12 candelabra bulbs. 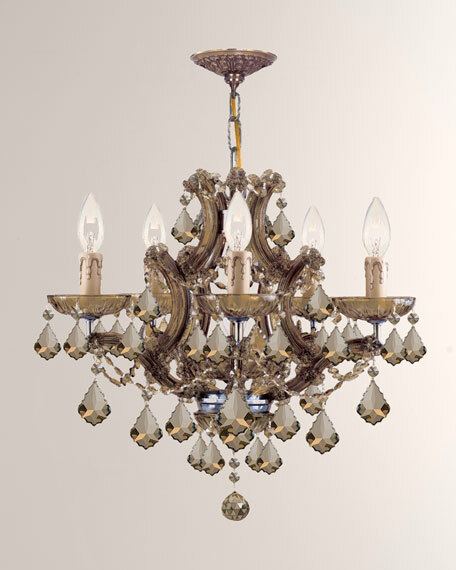 Chandelier draped in hand-cut glass crystals.Metal frame with antiqued-brass finish.20"Dia. x 17"T with 5.25"Dia. 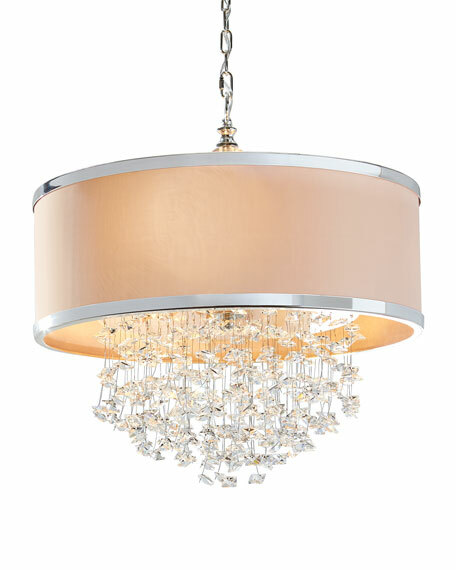 ceiling canopy and 72"L chain.Uses six 60-watt bulbs.Direct wire; assembly and professional installation required.Imported.Weight, 16 lbs. Boxed weight, approximately 19 lbs.